Rhinos debut: v St Helens 25/03/2012 Stevie had a memorable season in 2017, finishing as runner in the player of the season awards and defying the odds to come back from a shoulder dislocation to play and win his second Super League title In 2016 Stevie was handed the iconic number 13 shirt and a new five-year contract, having helped the team win the Challenge Cup in 2015. 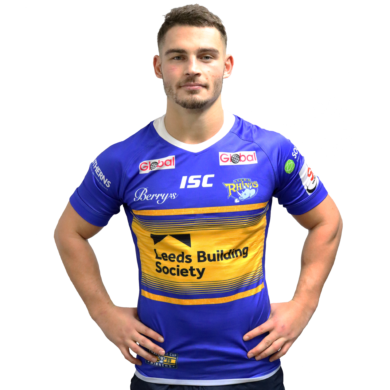 Before signing for the Rhinos Academy Stevie played for local amateur sides Churwell Chiefs and Hunslet Warriors and from an early age drew comparisons with former Rhinos captain and Kevin Sinfield. In 2012 he had a breakthrough season and established his place in the Rhinos first team, appearing in the Challenge Cup Final and the victorious Grand Final. He made his debut aged 18 against St Helens and went onto make 21 appearances over the campaign and he scored his first try for the Rhinos against Widnes and scored a further try in the Play Off game against Catalan Dragons. During the season he was selected to play for England Academy for the tour to Australia but having broke into the first team opted to remain in England to play for the club. After making a promising start to 2013 season and featuring in the World Club Challenge against Melbourne Storm he suffered a shoulder injury that kept him on the sidelines for the majority of the campaign. He returned to action in 2014 to play 22 games, but further injuries hindered his involvement with the first team. Another impressive start to the 2015 campaign when he was part of the Challenge Cup Final team his season was brought to a premature end when he suffered a serious knee injury in 2015 which ruled him out for the end of the season. He was the inaugural John Holmes Trophy winner in 2010 and joined the Rhinos that same year, making his first appearance for the U18 against Hull KR in the Valvoline Academy. In 2009 he was part of the England youth squad who took part of the England youth squad who took part in the European Nations Cup in Serbia alongside France, Wales, Serbia, Scotland, Russia and a European Celts side. He represented England Academy in 2010 and was a try scorer in their narrow defeat to France and the following year was named in the England Academy side, representing them in their game against the Australian Institute of. A fortnight before playing in the Challenge Cup Final in 2012 Stevie received his A level results from Woodkirk Academy and gained an A in P.E. and B’s in English Literature and English Language. In 2016 Ward successfully launched his own online magazine, Mantality, in which he has interviewed the likes of the Brownlee brothers and actor Matthew Lewis. 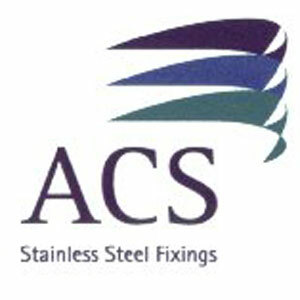 Our refined manufacturing process allows ACS to react faster than other manufacturers, ensuring we can fulfil our customers most demanding and complex requests, even at short notice. Our facility has the ability to operate 24/7, enabling our dedicated technicians and fabricators to ensure our products are dispatched on time, keeping your project on schedule.